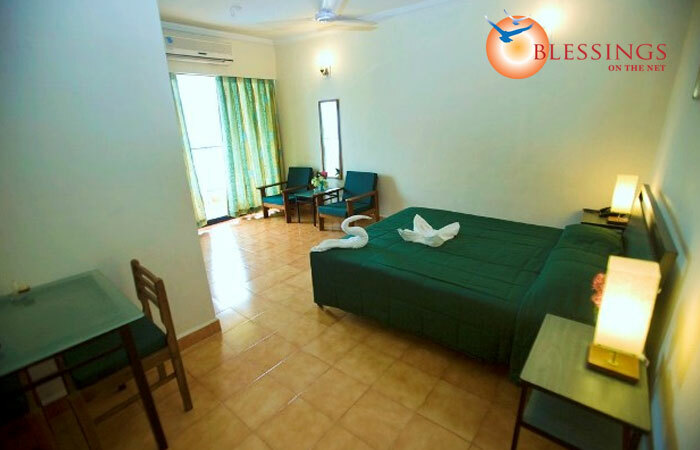 The 80 rooms at Palmarinha Resort are spacious and comfortable, complete with all modern amenities. 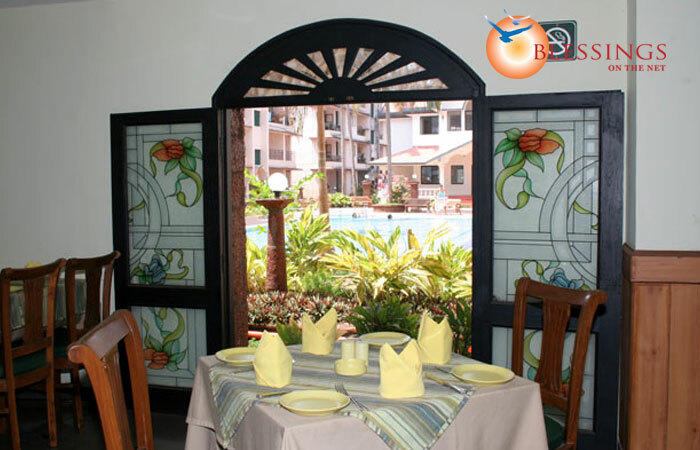 They are available and air-conditioned and non-air-conditioned varieties, and include the following in-room amenities: balcony/sit out, satellite television, a telephone, tea/coffee maker, a refrigerator and a mini-bar (on request). Each room also has an attached bathroom with 24 hour hot and cold water. Room service is also available. Well appointed 1BR Suite with Tea/Coffee making facility & microwave. Daily Breakfast served in the Suite. Airport/Thivim Railway Station transfers in an A/C car. 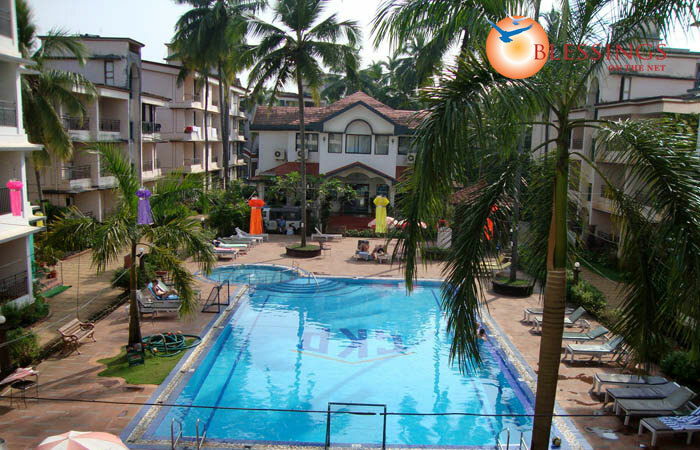 1 day private sightseeing Tour to South Goa in A/C car. 1 romantic candlelight dinner in the room with 2 glasses of wine. Welcome cake in the room. Room decor with flowers, candles balloons Etc. Free use of swimming pool, games room Etc. Daily free shuttle service to Calangute beach (one way).